WELCOME TO ASPEN LAKES NEWEST DEVELOPMENT! GORGEOUS CUSTOM TO BE BUILT BY MASTERCRAFT HOMES. 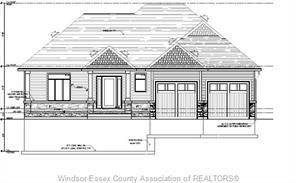 EXECUTIVE RANCH DESIGN WHICH FEATURES LRG FRONT PORCH, HRWD/CERAMIC THRU-OUT, LRG BRIGHT FOYER & OPEN TO GREAT RM W/GAS FIREPLACE TO CEILING. ALL WOOD CABINETS, OVERSIZED ISLAND W/QUARTZ OR GRANITE THRU-OUT HOME. CONVENIENT MAIN FLR LAUNDRY, DBL VANITY IN ENSUITE W/CERAMIC/GLASS SHOWER & SOAKER TUB, INTRICATE CEILING DETAILS. OTHER MODELS & DESIGNS ARE AVAILABLE. QUALITY THAT'S BUILT TO LAST. CONCRETE DRIVEWAY INCLUDED! CALL TODAY!. VISIT wwwandrewjsmithrealty.com OR CALL ANDREW J SMITH TODAY !! Deerbrook Andrew J. Smith Real Estate Inc.
Hi, I'd like to find out more information about 1649 CLEARWATER. Thanks so much!